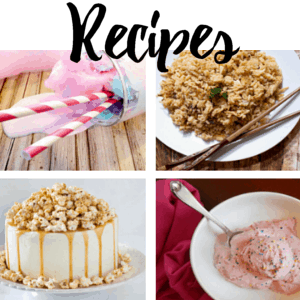 It’s back to school season, so, as a mom of four, I’m going crazy. There’s just so much to get done before the kids get on that school bus and there’ll only be more when they get home the first day! One of the biggest struggles I have every year as we transition back to school is keeping up with all the extra laundry. There’ll be sports uniforms, school spirit shirts that have to be worn over and over again, the best school outfit that they need to be washed every five minutes, and all the play clothes they wear after school to avoid getting their school clothes too dirty. It’s a LOT of laundry, y’all! Thankfully, these crazy back to school laundry hacks are going to save my sanity this year! Set Up a Laundry Station – The very first laundry hack that’s going to totally save your sanity this school year is to set up a laundry station! You want to have everything that you need at your fingertips so that you can sort and fold clothes at any time. Teach Your Kids to Sort Clothes as They Take Them Off – Seriously, life-changing. 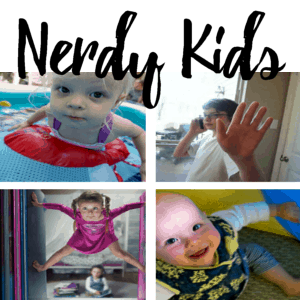 Your kids are not completely helpless, and they’re perfectly capable of sorting their clothes as they take them off. Teach them however you separate your laundry. Here we do linens, active wear (sports + play clothes), dark school clothes, light school clothes, and delicates! 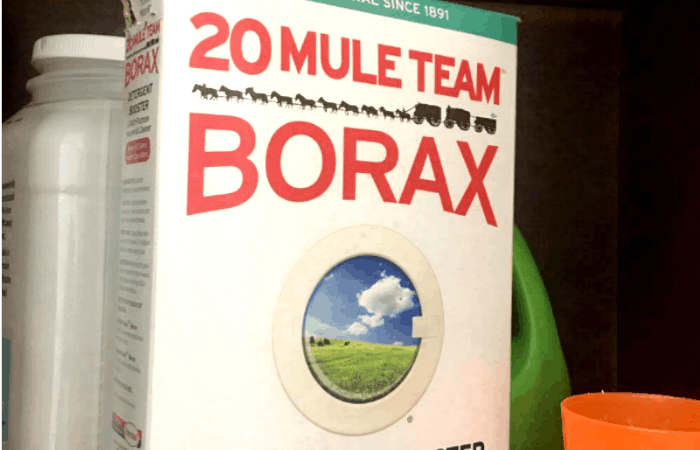 Stock up on 20 Mule Team® Borax from the laundry aisle at Walmart – Borax is the best laundry booster available, and it is a must-have in every single laundry room. It softens water and enhances the performance of your favorite laundry detergent. It’s perfect for use on active wear (sports uniforms anyone!?) 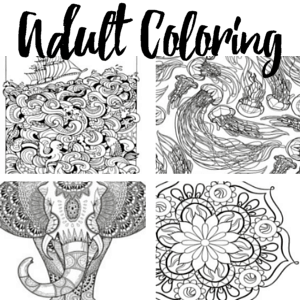 and sheets! It’s also gentle and strong enough to use on delicates, jeans, polyester, linen fabrics, cotton t-shirts, swim suits, towels, and blankets! Wash One Load a Day – Seriously, one load (at least) every single day. If none of your clothing baskets are full, it’s a linens day. Grab your sheets and towels and other linens and throw them in the wash. This way you don’t spend your entire Saturday washing laundry instead of enjoying the weekend! Teach Your Kids to Run the Washing Machine – This will save your life, especially when you catch a back to school cold! I’ll just remind you, kids are capable of doing chores! Show them the settings you use on your washing machine, how much laundry detergent you use, and they’ll be good to go! 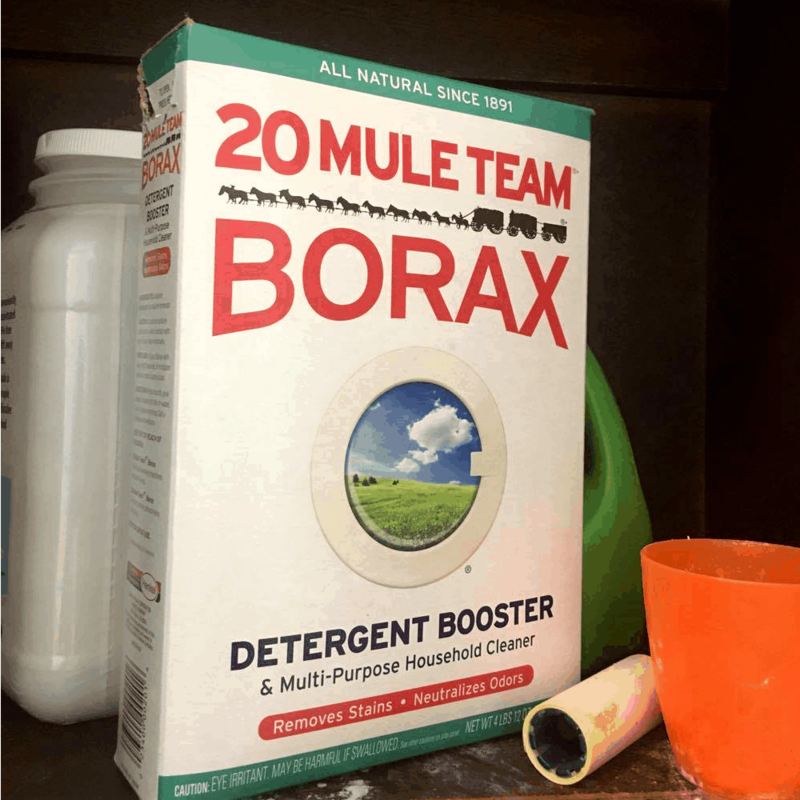 My favorite back to school laundry hack is definitely to always keep some Borax Laundry Booster on hand! 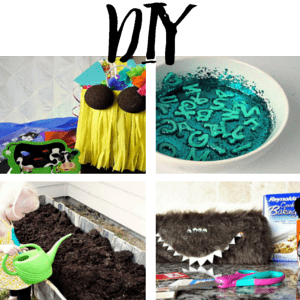 Borax is a Multi-Purpose Household Cleaner that everyone should have since it can be used in such a wide variety of ways. 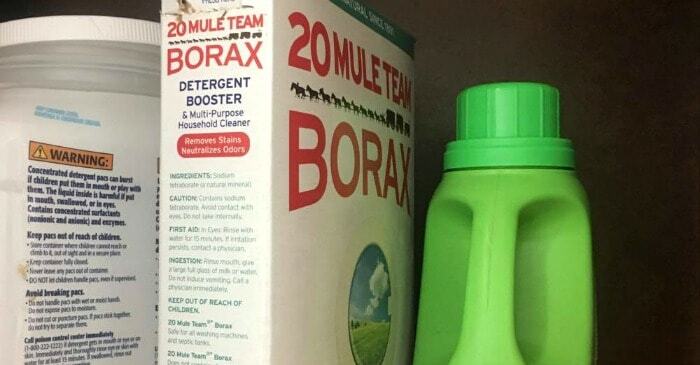 Borax helps clean pots and pans, ovens, microwaves, sinks and countertops. It’s also gentle and strong enough to use on delicates, jeans, polyester, linen fabrics, cotton t-shirts, swim suits, towels, and blankets! With these crazy back to school laundry hacks your back to school season is going to be so much smoother! 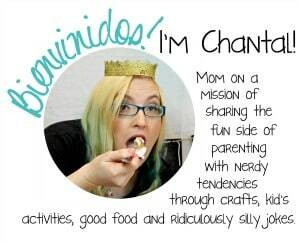 Your kids will thank you (or they should) and you’ll be thanking me for these tips! 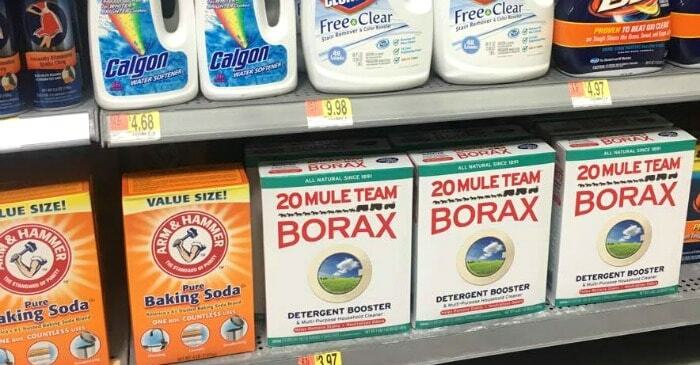 Make sure you grab some Borax Laundry Booster at your Walmart with the additives in the laundry aisle during your back to school shopping session and pin this post for later to remember all the best back to school laundry hacks!